The world-first discovery of a key metabolic hormone found in the venom and gut of Australia's iconic platypus will now be investigated for its potential to treat type 2 diabetes, in new research led by the University of Adelaide. In a collaboration between the University of Adelaide, Flinders University, Monash University, SAHMRI and the Royal Adelaide Hospital, funding from Medvet Science is supporting a study to investigate whether the platypus hormone could be more effective and sustained in action than current medication. 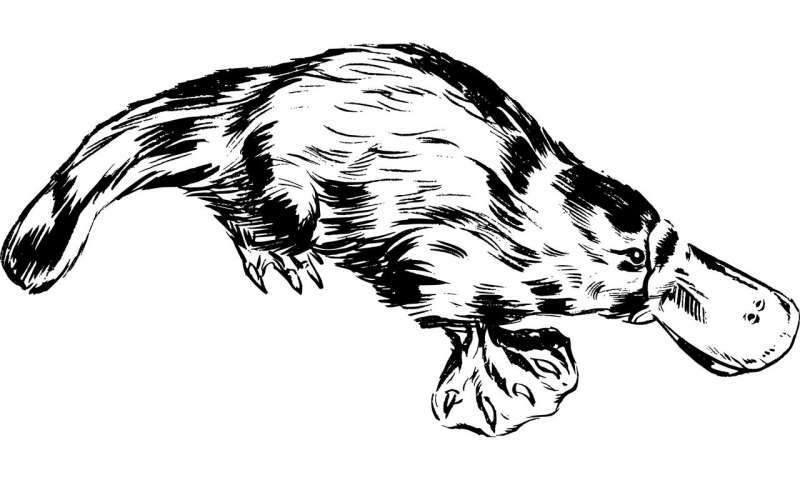 The discovery stems from the sequencing of the platypus genome in 2008. Project leader Professor Frank Grutzner, from the University of Adelaide, was a member of that team and is considered an authority on monotreme genetics. The metabolic hormone is known as glucagon-like peptide-1 (GLP-1), and is normally secreted in the gut of both humans and animals, stimulating the release of insulin to lower blood glucose. A modified form of GLP-1, exenatide, is widely used for diabetes treatment. "One of the most amazing discoveries of the platypus genome project was the massive loss of genes important for digestion and metabolic control – these animals basically lack a functional stomach," Professor Grutzner says. "More recently we discovered that monotreme GLP-1 has changed radically in these animals, due to its dual function in both the gut and venom." "We have privileged access to these amazing animals," says Professor Grutzner. "Male platypuses produce venom during the breeding season, and can deliver the venom from their hind spurs. We were surprised to see GLP-1 present in venom and think that this may have led to a more effective hormone. "We already know that their GLP-1 works differently, and is more resistant to the rapid degradation normally seen in humans. Maybe this iconic Australian animal holds the answer to a more effective and safer management option for metabolic diseases including diabetes." The effects of platypus-derived GLP-1 are now being explored in detail thanks to a $200,000 grant from Medvet Science, the medical research support and commercialisation arm of the Central Adelaide Local Health Network. Medvet Science works on behalf of several hospitals in Adelaide to commercialise medical inventions. "This discovery has the potential to produce significant benefits for human health by bringing industry, leading academic researchers and clinical expertise together," said Medvet Science's Managing Director and CEO, Mr Greg Johansen. "This is the first step towards testing the clinical relevance of platypus GLP-1. We believe it's a project with great commercial potential and an example of the world-class research being conducted right here in South Australia," Mr Johansen said.